By Kenneth Uehara in Social Media. Updated on September 5, 2016 . 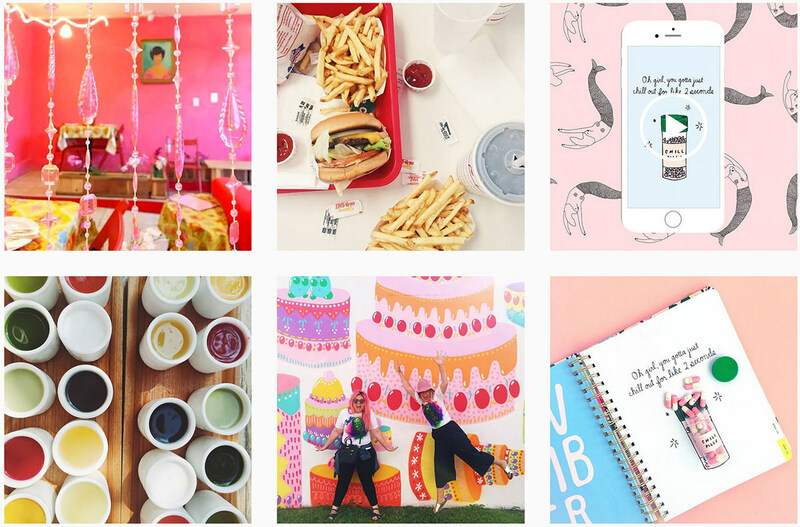 Instagram is riddled with accounts by celebrities, travel blogs, humor vlogs, and many more. It is also home to some of the most creative artists you can find on the Web. 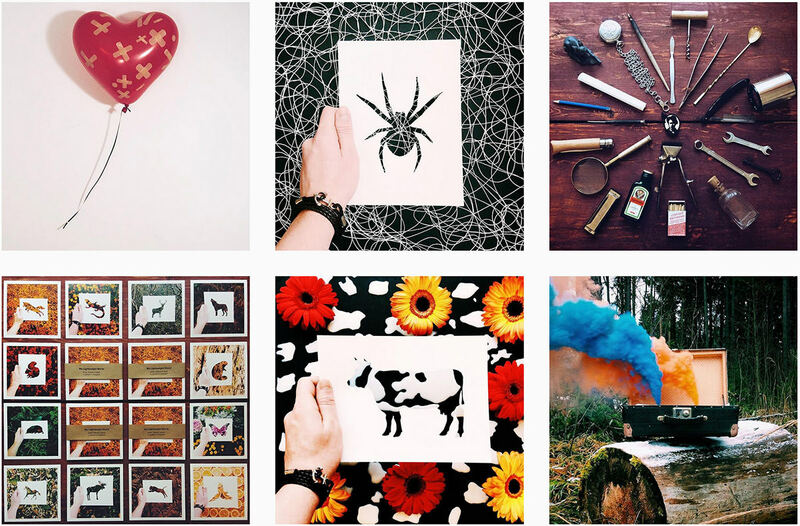 In this post are 30 such talented artists who give you a peek into their work and life via Instagram. Consider them your daily dose of creativity in the morning (or evening) when you wake up to start your day (or night). Their work is also a reminder that we don’t have to hide away our passion for art from the rest of the world. 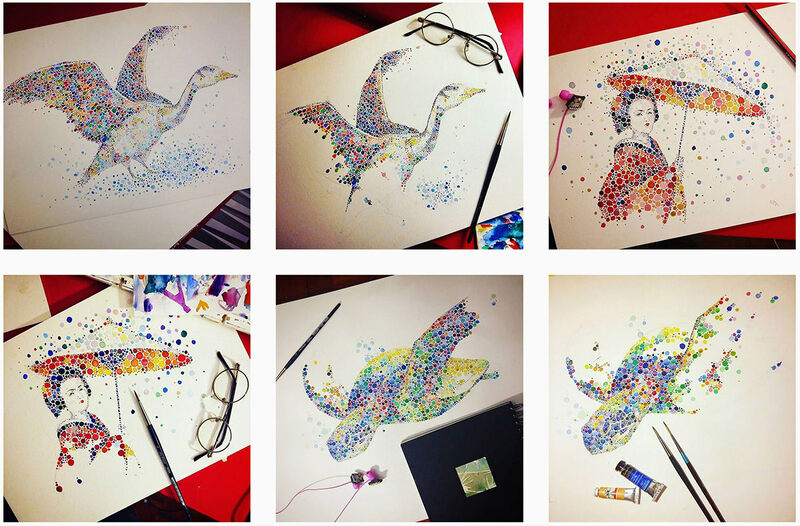 Ana Enshina is an artist based in London who regularly posts her artworks on Instagram. She also has an Etsy store where she sells her watercolor paintings. Most of her artworks feature animals, nature, and once in a while human portraits and landscapes. ban.do is a design house located in Los Angeles that sells unique and creative gifts for women. From beautifully designed notebooks down to phone cases. They also design and sell jewelry and many other gadgets that carry that feminine touch. Britt Bass Turner is a design studio in Roswell, Georgia that designs for customers who have the taste for fancy things. They sell paintings and custom-designed accessories like purses and phone cases. 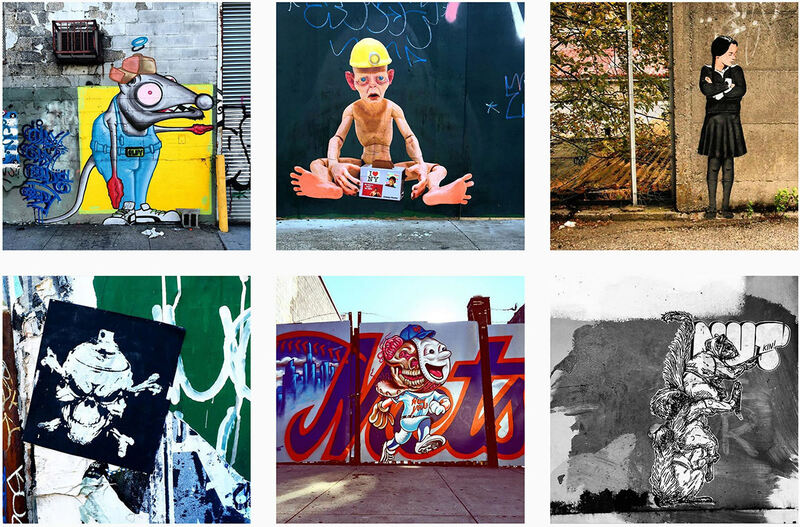 Brooklyn Street Art by Jaime Rojo is a photo project that focuses solely on finding and posting good street art found all over the world. Most of the photos were taken with an iPhone. C+C Mini Factory is a factory of little things. 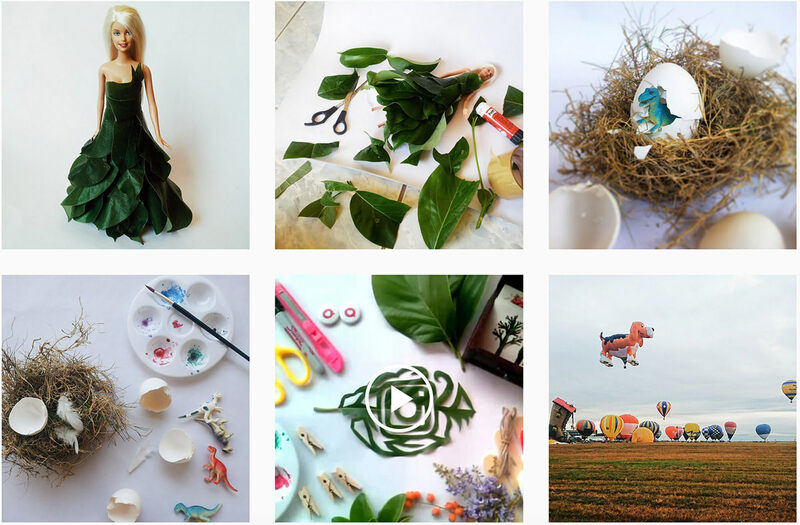 Daily scenes are recreated inminiature fashion using figurines. The beauty of this Instagram account is that it mostly features animals in unnatural habitats doing weird things. Elena Limkina is a freelance illustrator who is based in Moscow, Russia. She specializes in jewelry, watercolor, scientific and botanical illustrations. 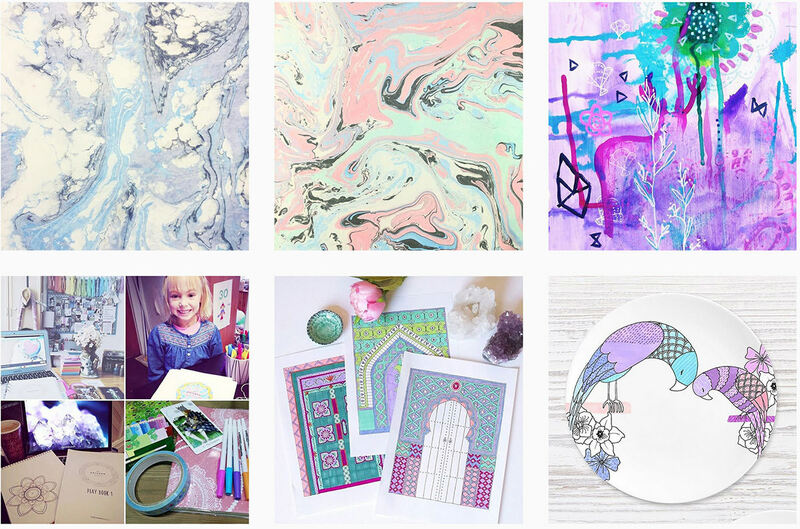 She sells her artwork on Etsy and also accepts commissioned work. Gangster Doodles is a combination of the street and creativity that brings to life to a different kind of art. 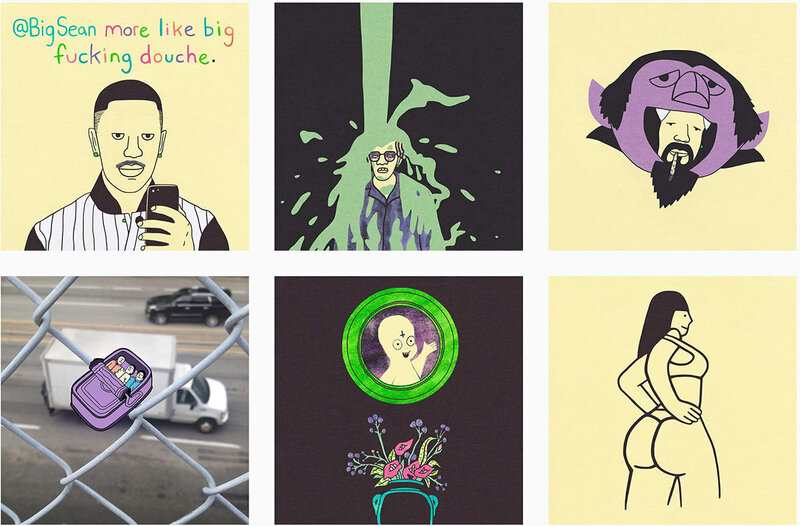 Their art style is unique and has a certain humor to it, something that lighthearted people would love to have in their homes. 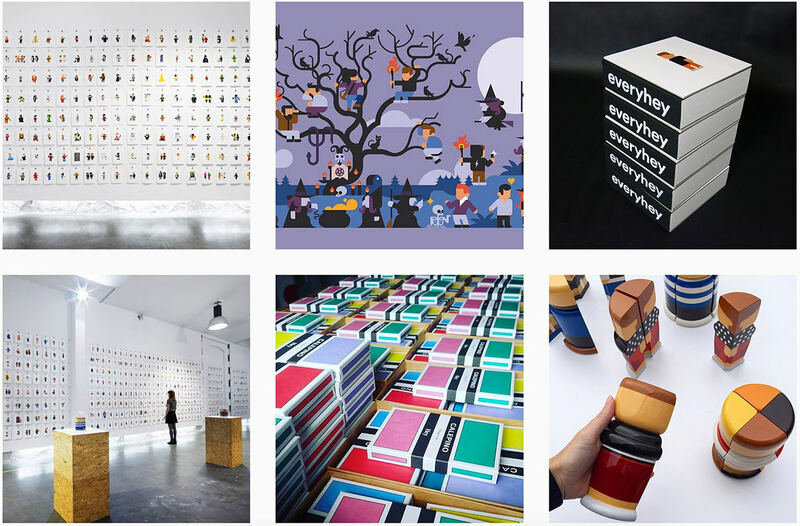 Hey Studio is a design studio based in Barcelona, Spain. They design anything from prints, banners, business cards, stickers, and any other surface that can feature designs on. 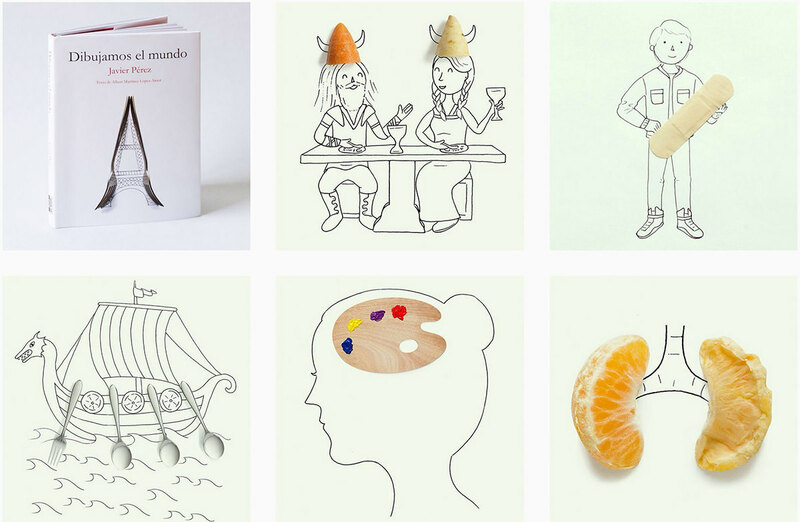 Follow Ida Skivenes, an artist from Norway, to find delectable, yummy art on her Instagram feed. She makes edible, appealing, beautiful art out of food, delighting us with mouthwatering treats. 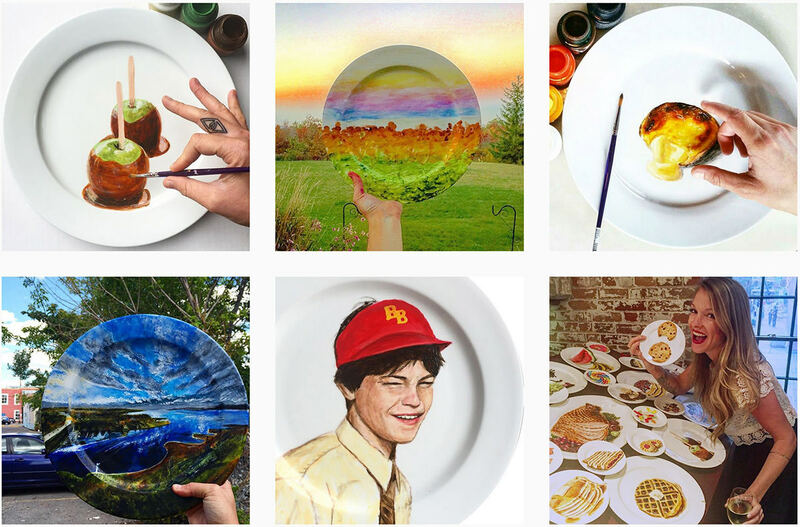 Jacqueline Poirier is an artist based in Toronto who paints on plates. She paints nature, human portraits, animals, and many more artworks that are pleasing to the eyes. She can also be contacted for commissioned work. Javier Perez’s approach to art is unique and fun. He fuses his random yet minimalistic sketches into real-world items like what he does to this cookie and pencil shavings. Jo Klima focuses on making artworks that display the intricate pattern of things. Her artworks show a spiritual vibe in them, whilst inspire people through visual means. Joana Wirazka is a self-taught artist with no preference on any medium to paint on. From a leaf to a coaster to the back side of an envelope she creates art, inspired from nature, the universe, and life in general. Jorge Lawerta is an illustrator from Valencia, Spain. Based on his Instagram feed, he is an avid fan of soccer, which shows in most of the artworks he has posted on his account. 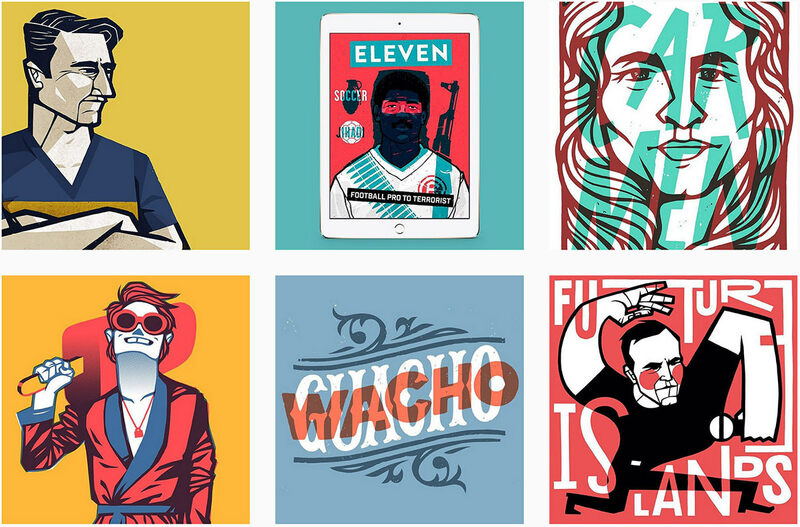 Jorge has worked with posters, stickers, and automotive illustration design. 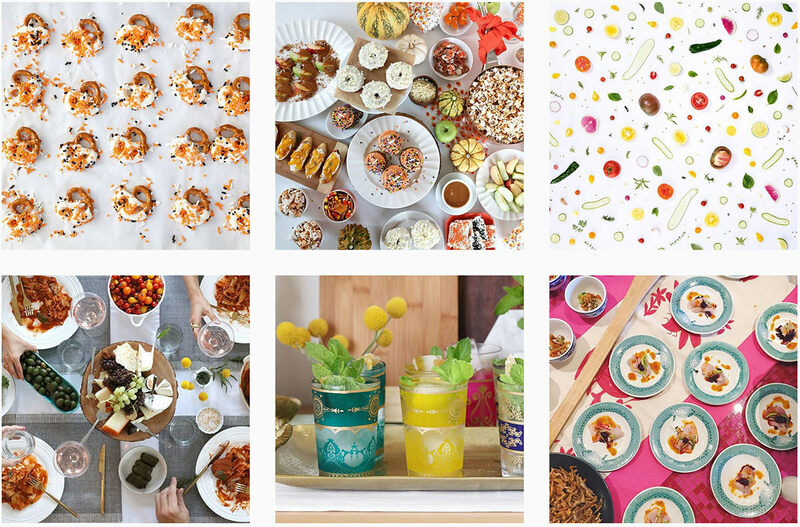 Another food-themed Instagram feed, this one by Julie Lee features unique composition of food and how they can be decorated. 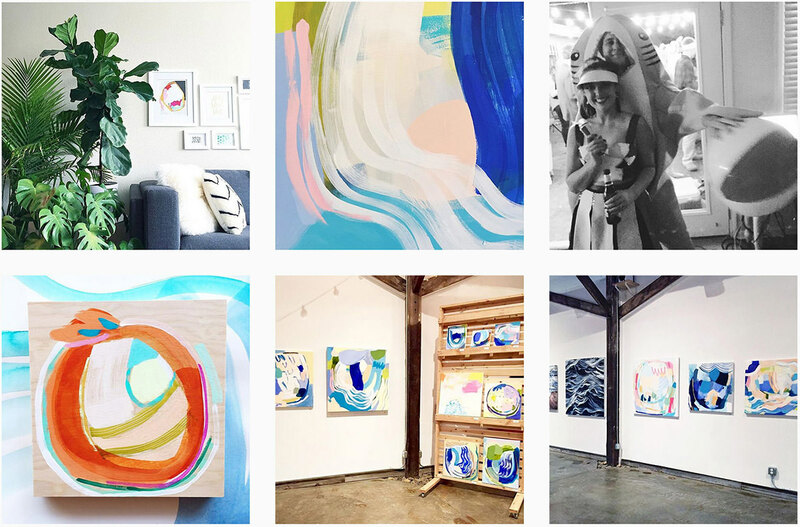 Her Instagram feed is filled with her carefully arranged artworks. 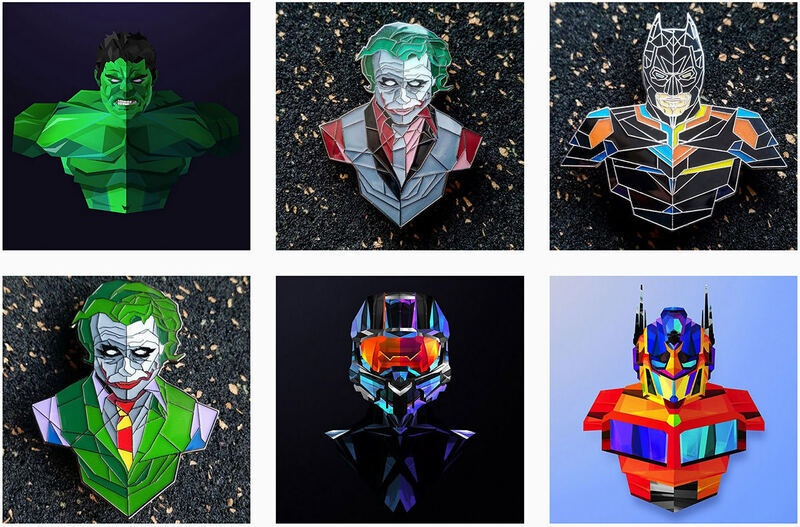 Justin Maller is a digital artist from New York whose artworks are inspired from comic book superheroes. His artwork also have a noticeable affinity for intricate symmetrical and asymmetrical patterns. 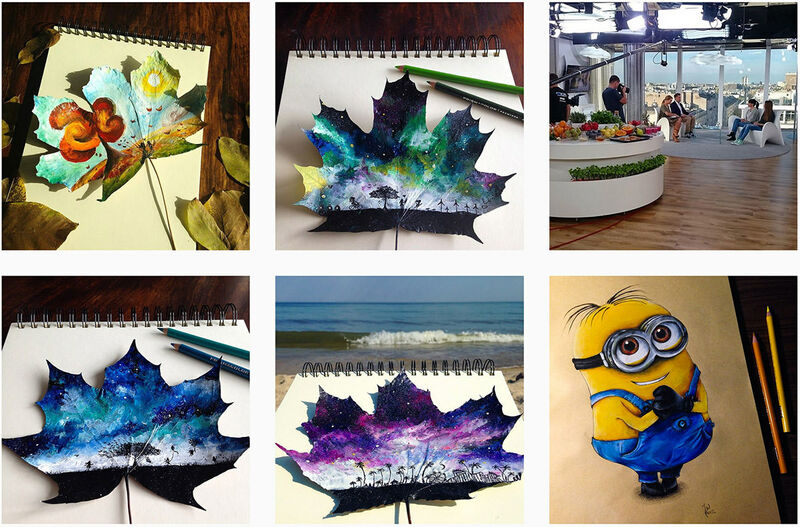 With over a million followers, you can’t go wrong with Kristina Webb‘s Instagram feed. It’s a great source of colorful and imaginative artworks that aims to inspire people to be more creative with the present. 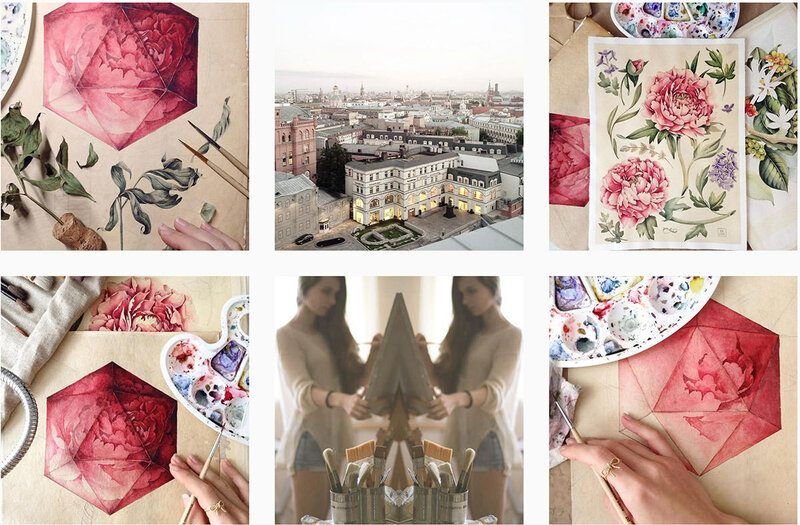 Harvard graduate, Lily Stockman shows her love for painting and botany on her Instagram feed. Her artworks usually follow a specific pattern and earthly colors. 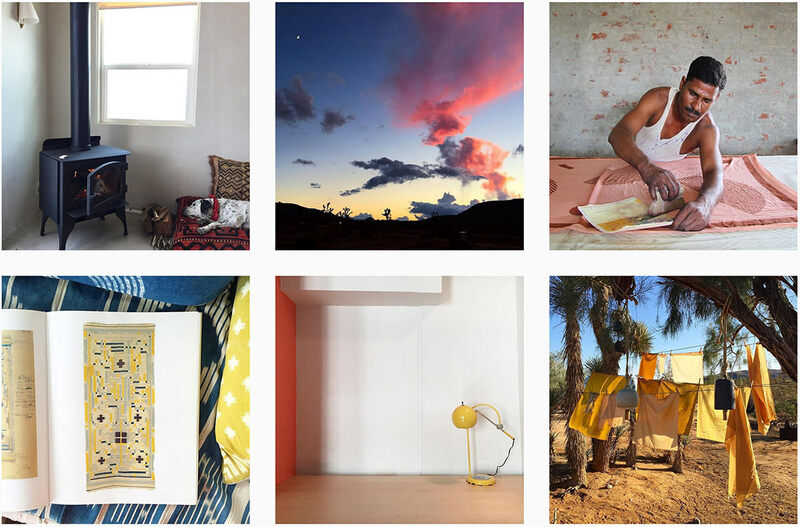 She also posts photos of nature in her Instagram account, mostly flowers and landscapes. 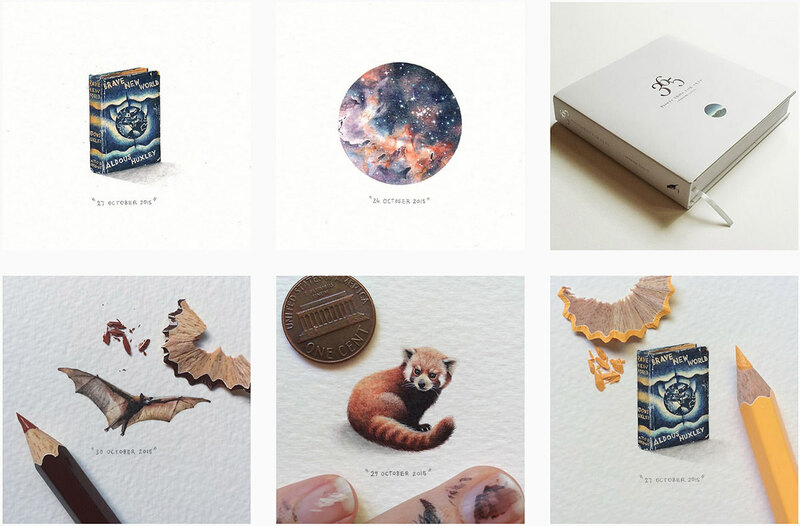 Lorraine Loots loves miniature paintings so much, she basically "paints for ants”. Most of her artworks are sized 0.5 x 0.6 inches, sometimes a bit smaller, sometimes a bit bigger. She also sells her artwork on her website. 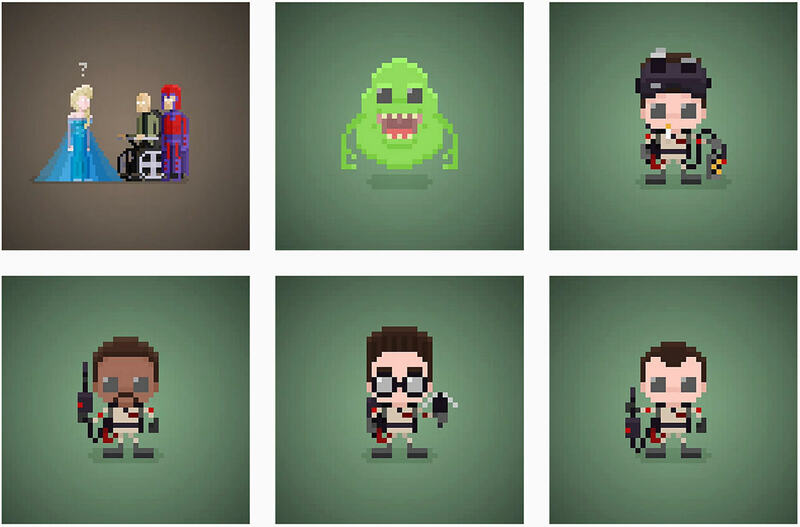 Manolo Saviantoni is a pixel artist from Italy. His work is primarily composed of pixel arts for games and mobile applications. 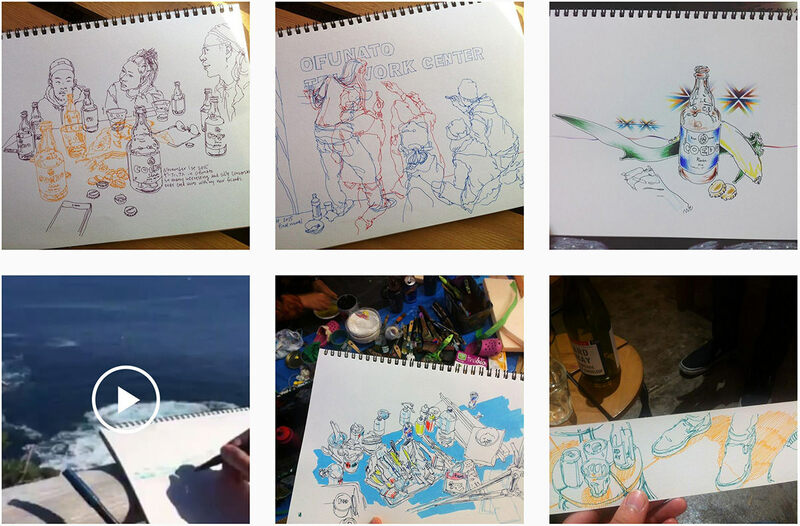 Mariya Suzuki sketches people and things randomly wherever she goes then posts them on Instagram. 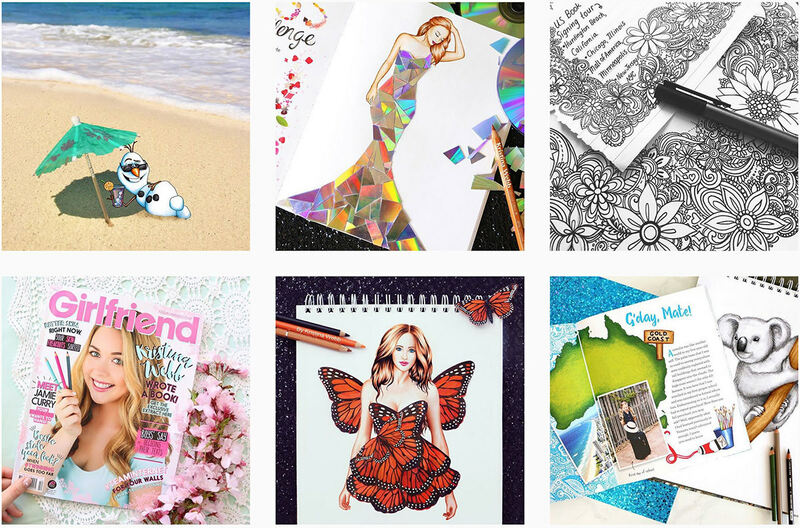 Her style of sketching is quirky and definitely catches the defining features of the people and things she draws. Nikolai Tolstyh takes great, very interesting photos. Her artwork is definitely one of a kind. He cuts holes from papers in the form of animals and makes use of the beautiful background to fill in the colors. Red Hongyi from Malaysia doesn’t have a specific art style. 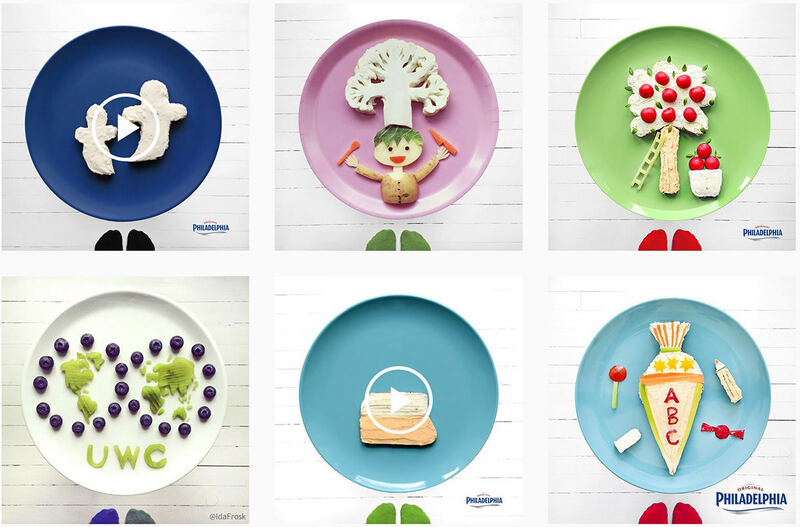 Instead, she explores all of the materials around her, from kitchen utensils to vegetables, art on plates and more. You can catch many famous and familiar faces on her feed too. 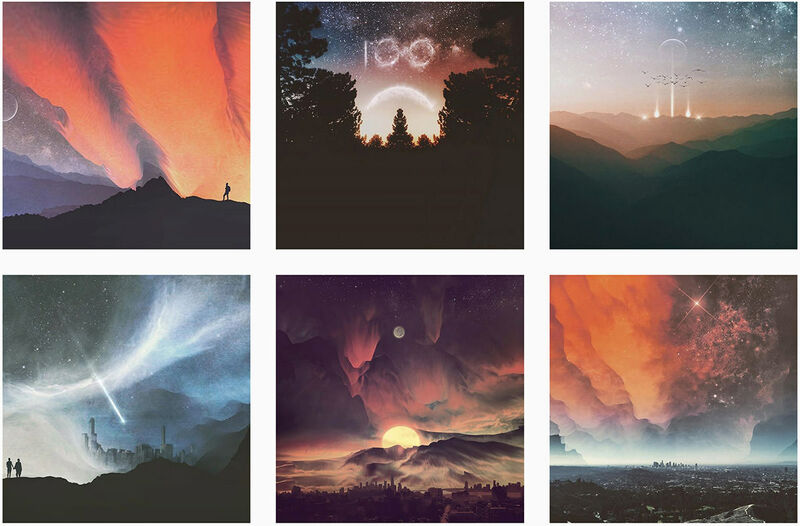 Rob Simonsen creates beautiful artwork that feature landscapes and the starry evening sky. His account helps you put things and significance into perspective. 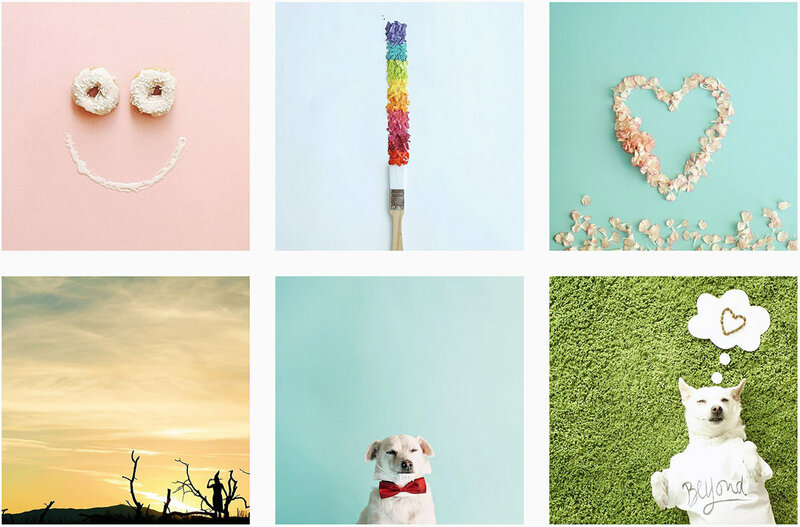 Roy Mallari is a photographer from the Philippines who posts his quirky creations on his Instagram account on a regular basis. He makes use of leaves, seeds, glitter (which is a nightmare for many), and many other things for his artwork. Pet lovers will love Runner Kim Hall‘s Instagram feed which features photos of her dog wearing quirky clothing as well as daily random snaps . Her photos are edited with a photo app called VSCO. 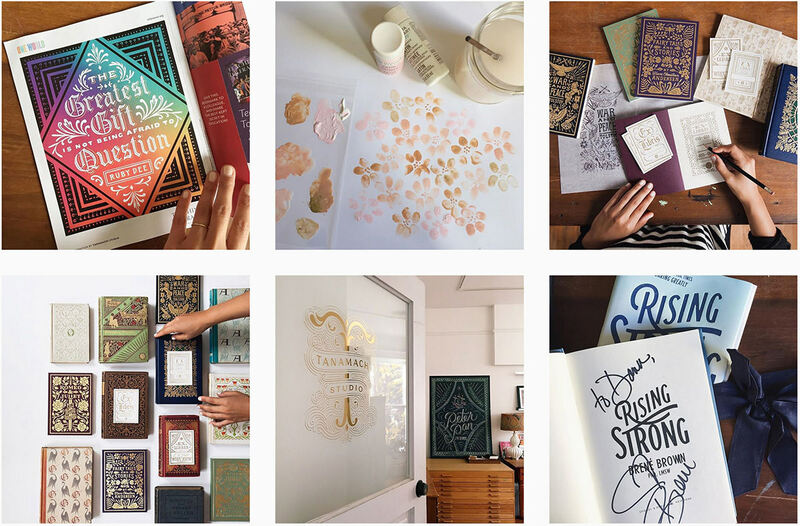 Tanamachi Studio posts regularly about handmade letterings and intricate patterns for letters. 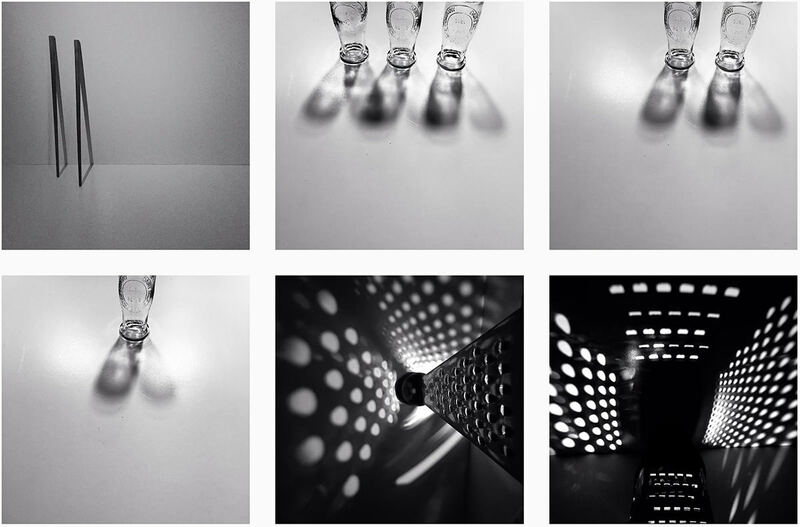 The owner of the account also posts random things in her life that shows various creative designs in public places. Her artwork have been featured in many exhibits in The Art Director’s Club in New York. 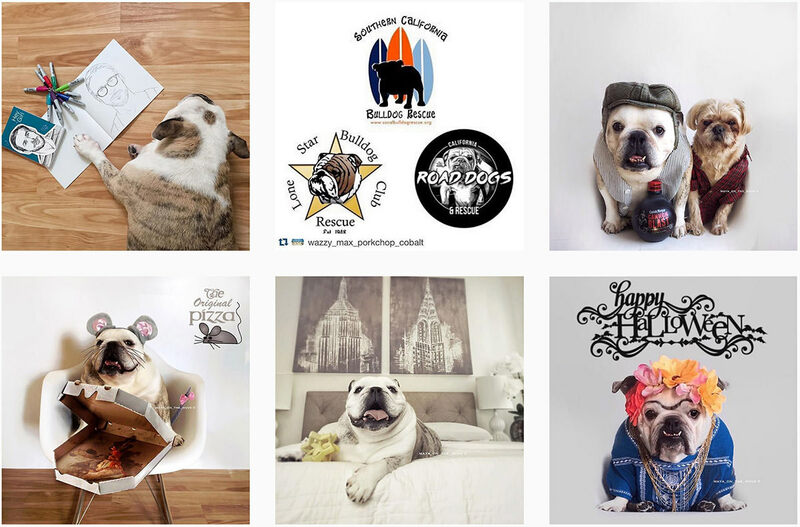 Tania Ahsan details the daily life of the infamous Maya, a bulldog who poses in human clothing (she thinks she’s people), resulting in very cute snapshots. 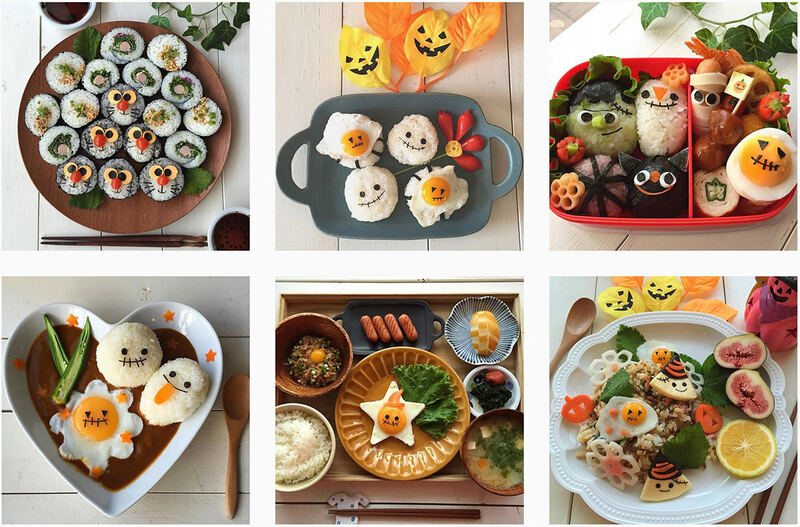 Yur_Rii loves decorating and eating beautiful food. 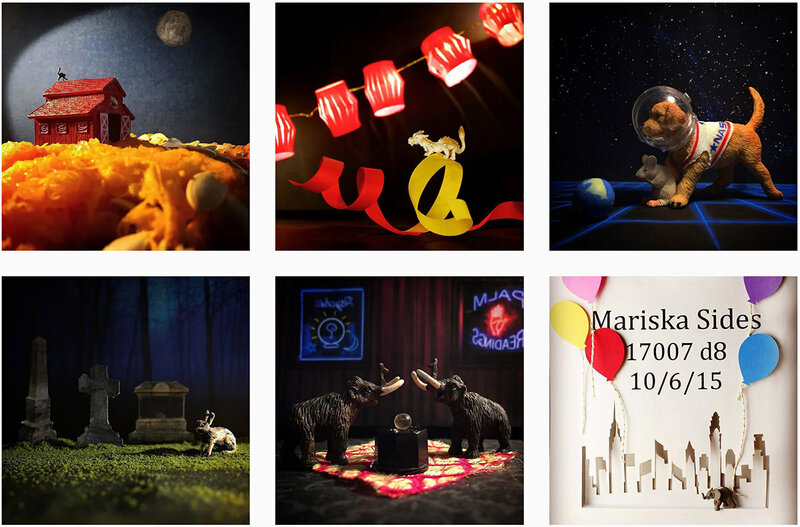 Her love for food and art is encaptured in her 1000+ photos on Instagram. She also posts photos of her 2-year-old cat, Musumetchi. 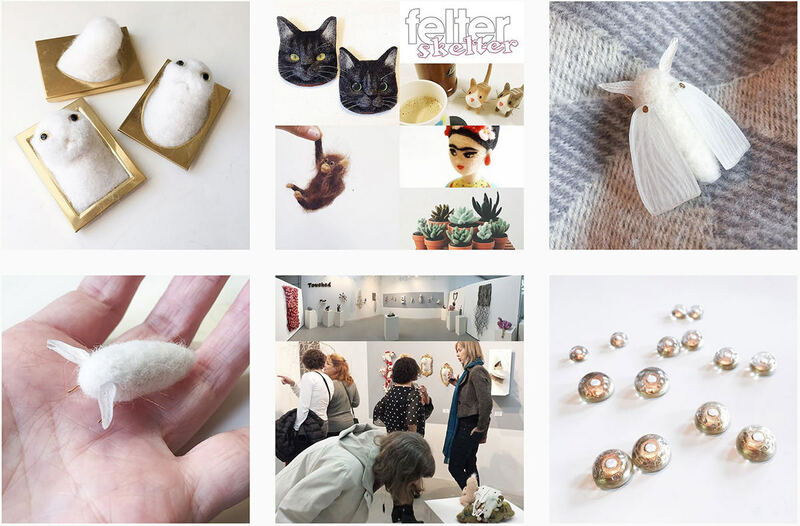 Zoe Williams makes things with felt, mimicking life, mostly animals. These mostly white (with a dash of pink, maybe she’s aiming for albinism-inspired art) sculptures will either creep you out or leave you in awe.